Your browser does not support the video tag, but you can view the video by clicking here. Galiher DeRobertis & Waxman has successfully represented hundreds of mesothelioma victims throughout the United States for over 35 years. We welcome the opportunity to work with you. Choosing an attorney to represent you in a mesothelioma case is an important decision. Because these cases present unique factual, medical, and legal issues, it is essential to choose an experienced firm. Our results reflect the fact that we are experienced mesothelioma trial lawyers who will carefully and fully investigate and prepare your case. Our adversaries know that we stand ready to go to trial, which leads to the most favorable results for our clients. As you choose an attorney, you should make sure that your lawyers have the years of mesothelioma practice required to effectively represent you. Most importantly, make sure that they have real courtroom experience. The mesothelioma lawyers at Galiher DeRobertis & Waxman understand the many issues that determine where your case can be filed. You should not assume that the case will be filed where you live, because asbestos exposure which occurred 20-40 years ago likely occurred in another state. Nor should you assume that local lawyers have the experience and knowledge necessary to bring an asbestos case on your behalf. Mesothelioma cases are unique. There is a very small number of lawyers with the required depth of experience to successfully bring a case on your behalf. Therefore, it is important to choose a mesothelioma attorney with national experience, who can ensure that your case is filed in the most favorable jurisdiction. Galiher DeRobertis & Waxman has that national experience, having already helped mesothelioma clients in over 40 states, and will travel to where you are to meet with you. We have a national reputation. Our firm has made its mark on the national scene through the asbestos litigation, as well as through the state attorney general’s lawsuits against the tobacco industry. Our firm has worked with premier plaintiff firms from around the United States on asbestos and mesothelioma cases for over 35 years. While representing our clients, we uncovered a massive fraud by one of the defendants in the asbestos litigation. As a result, we ultimately helped negotiate a nationwide settlement of $400 million with The Travelers’ Insurance Companies, for thousands of asbestos claimants. We are a resourceful law firm that has a reputation for aggressively pursuing personal injury actions against some of the largest businesses in America, ones that have placed corporate earnings ahead of the health and safety of the consumer or their workers. 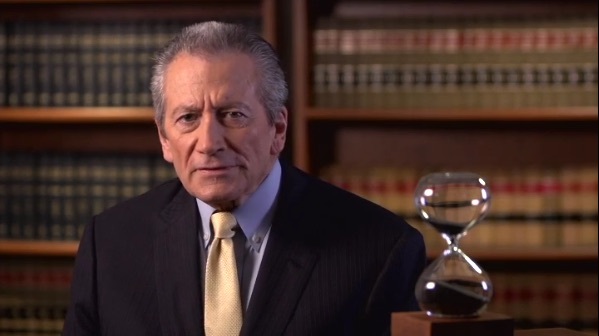 Unlike many other law firms that look for quick settlements, the Galiher firm gets full compensation for its clients by staying involved, prepared and ready for trial with top-flight plaintiff firms in each and every case we undertake. Gary Galiher has tried over 50 cases to verdict in asbestos litigation in Hawaii courts. His two most recent verdicts were awards of $5.3 million and $9.8 million to our clients. While each case is unique and the results depend on the specific facts, our firm works to obtain the best result possible for our clients. If there is no recovery in your case, you will not owe us any fee. We handle these cases on a contingent fee basis, so that you will not pay anything unless there is a recovery in your case.